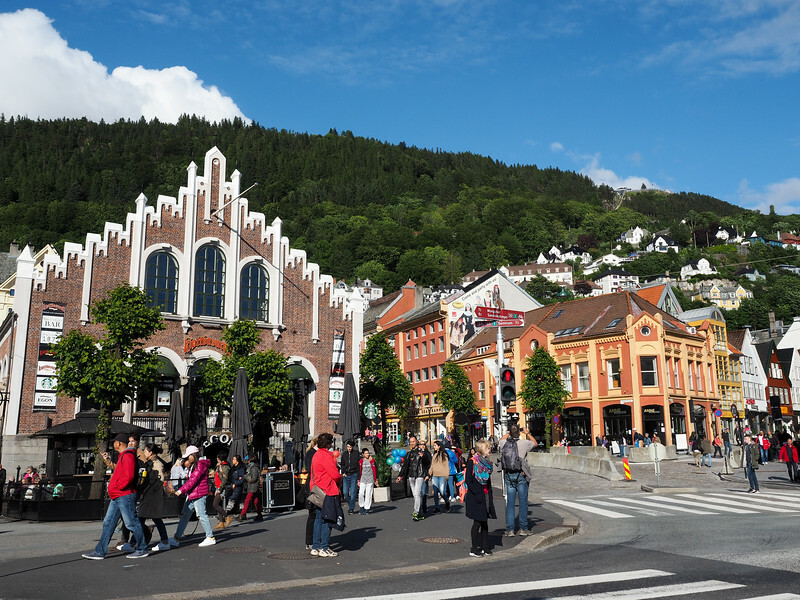 Surrounded by mountains and fjords and filled with colorful wooden buildings, it's not difficult to understand why the city of Bergen is such a favorite among visitors to Norway. I mean, let's face it: this city is pretty stunning! 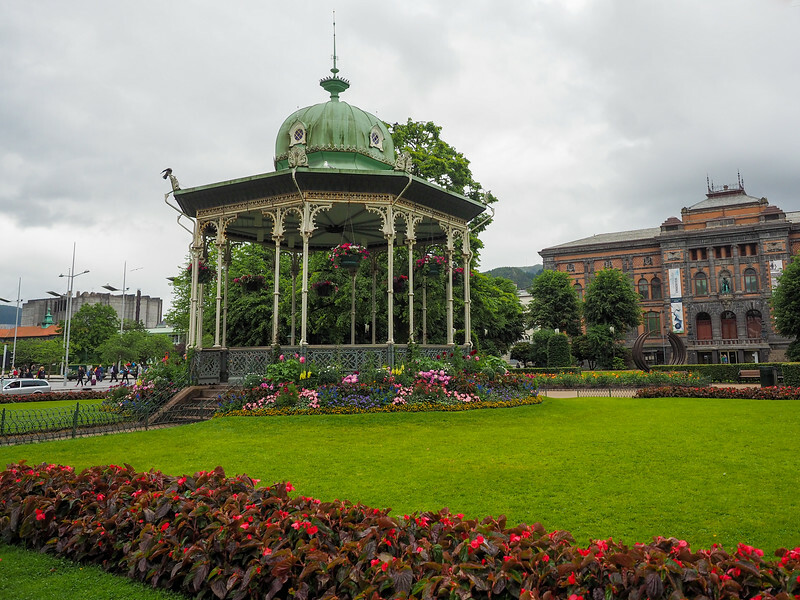 Nevermind that Bergen's weather is usually pretty wet, or that it boasts the famously high prices of Scandinavia – there's still something undeniably charming about Bergen. It took me three visits to Norway to finally visit Bergen, but when I did I finally understood what all the fuss was about. The colorful wooden houses along Bergen's old Hanseatic Wharf are by far the most iconic sight in the city. And it just so happens that this is the most historic part of the city, too. The wharf was first built in the 14th century when the Hanseatic League (an organization of merchant guilds) established a “Hanseatic Office” in Bergen. Be sure to wander beyond the colorful facades. Back when Bergen merchants were trading in stockfish, all the buildings of Bryggen were used as offices and storehouses. Today, the wharf houses shops, restaurants, and a small museum. Make sure you take some time to wander through the maze-like alleyways between the old buildings. Similar to Rome and its seven hills, Bergen is surrounded by The Seven Mountains. It's one of the reasons Bergen is so visually impressive – and also the reason why Bergen is so rainy. But if you catch a nice day in Bergen (I promise that they do exist! ), you'll definitely want to get up on one of these mountains. The most accessible of the Seven Mountains is Mount Fløyen, which can be reached by funicular from Bergen's city center. The Fløibanen is a fun way to get up the mountain (though you can also hike), and the views at the top are truly fantastic. 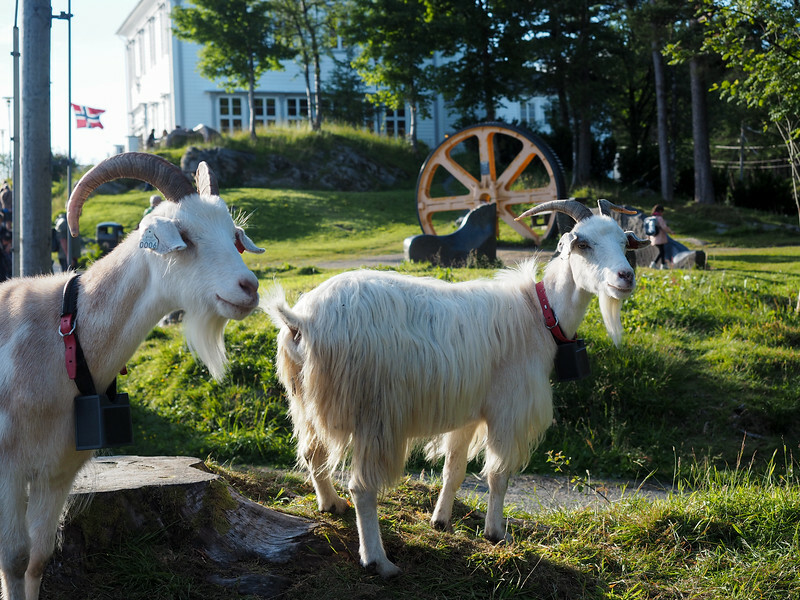 Make sure to give yourself some extra time at the top to take a short hike – and don't be surprised if you're met by some friendly goats! 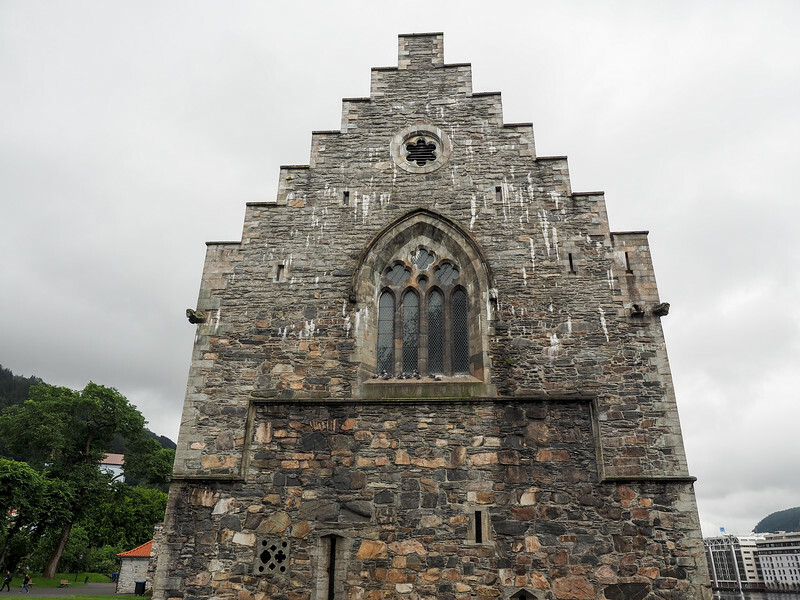 Located close to the entrance to Bergen's harbor, Bergenhus Fortress has been a staple in Bergen for centuries. Some of the current buildings date all the way back to the 1240s, though there's evidence that there's been a structure on the spot since before 1100. Back when Bergen was the capital of Norway (up until 1299), the fortress served as the royal palace. Today, the fortress is well-preserved and is still used for banquets and concerts. Visitors can check out Haakon's Hall and Rosenkrantz Tower, or just wander around the pretty grounds. 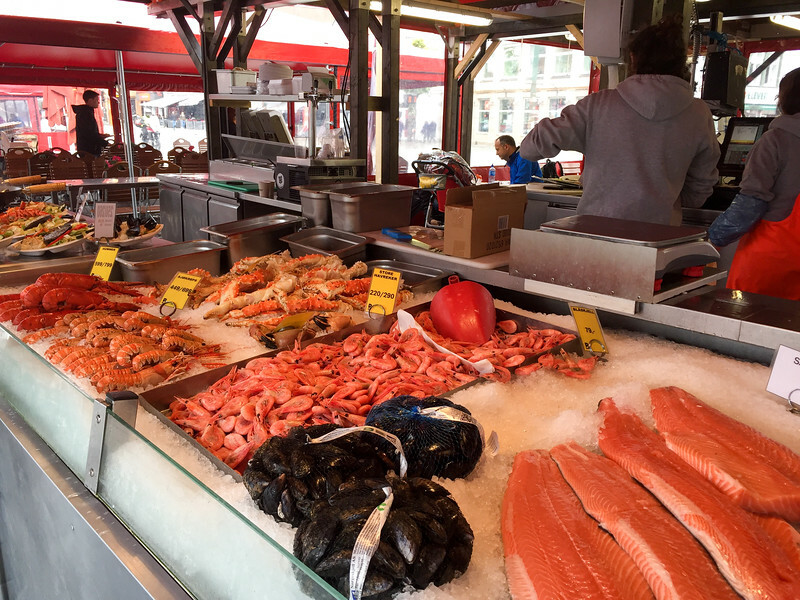 Just like most notable things in Bergen, the city's fish market has a long history. 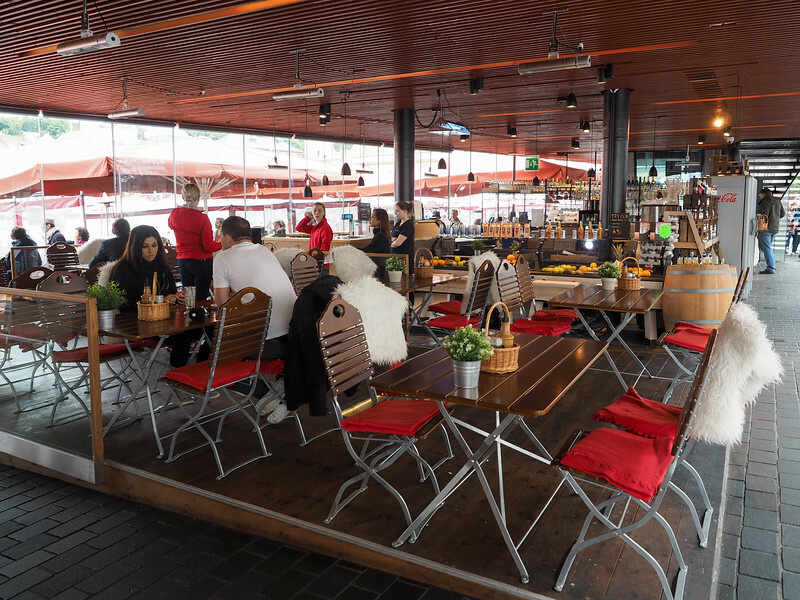 Its spot near the harbor has been used for centuries as a meeting/trading place for merchants and fishermen, and today the fish market is one of Norway's most-visited outdoor markets. As you walk through the market stands, keep you eye out for all sorts of fresh seafood, which you can usually order and have cooked up on the spot. Also check out the indoor “extension” of the fish market, which is located beneath the Bergen tourist information center. Here you'll find a more restaurant-style space where you can sit down to have a meal. Like any city, Bergen has a nice collection of museums. But Bergen's museums are (in my opinion) more unique than what you typically find in an average city. 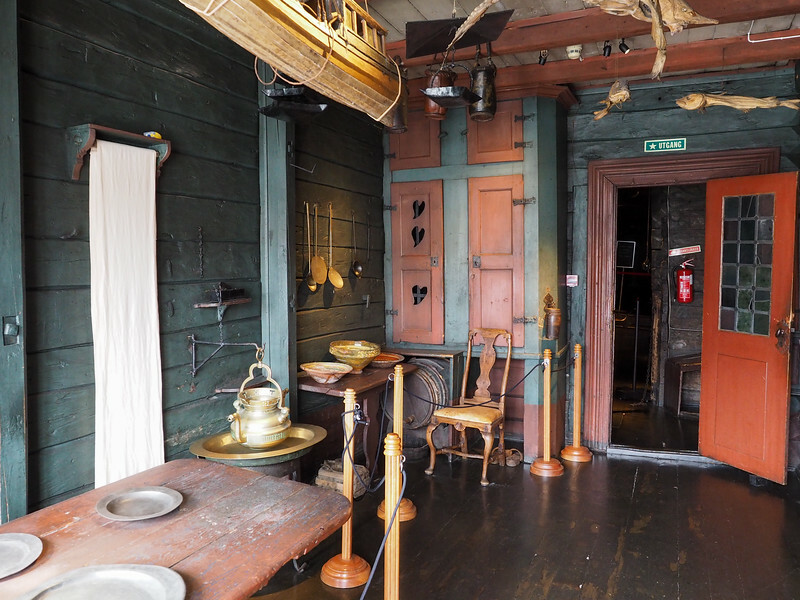 Hanseatic Museum – Found in one of the historic wooden buildings along Bryggen, this museum shows what life would have been like for Bergen's Hanseatic merchants in the 18th century. It's a small museum, but an interesting one. KODE – This museum complex is one of the largest museums for art, design, and music in the Nordic region. 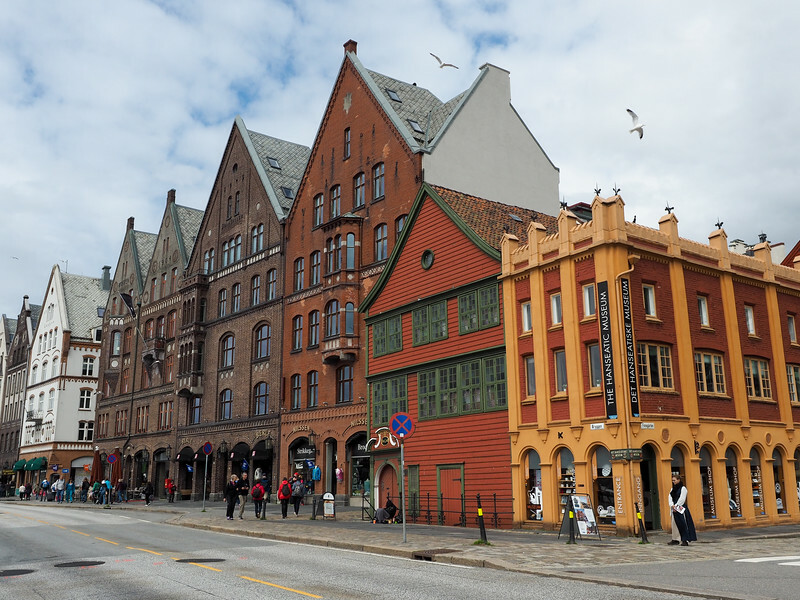 KODE includes four buildings in Bergen's city center (KODE 1, 2, 3 and 4), and also several homes of famous composers. Leprosy Museum – Located in the former St Jørgen’s (St. George's) Hospital, the leprosy museum is probably unlike most other museums you've visited. Bergen actually had three hospitals for leprosy patients between 1850 and 1900 – the largest concentration of patients in Europe – with St. George's being the oldest. The museum not only covers the story of these hospitals and their social impact on Bergen, but also highlights Norway's scientific contribution to leprosy research. Bergen Maritime Museum – Being a maritime city, Bergen naturally has a dedicated maritime museum. Here you can learn about Bergen's maritime history, and see a Viking ship. 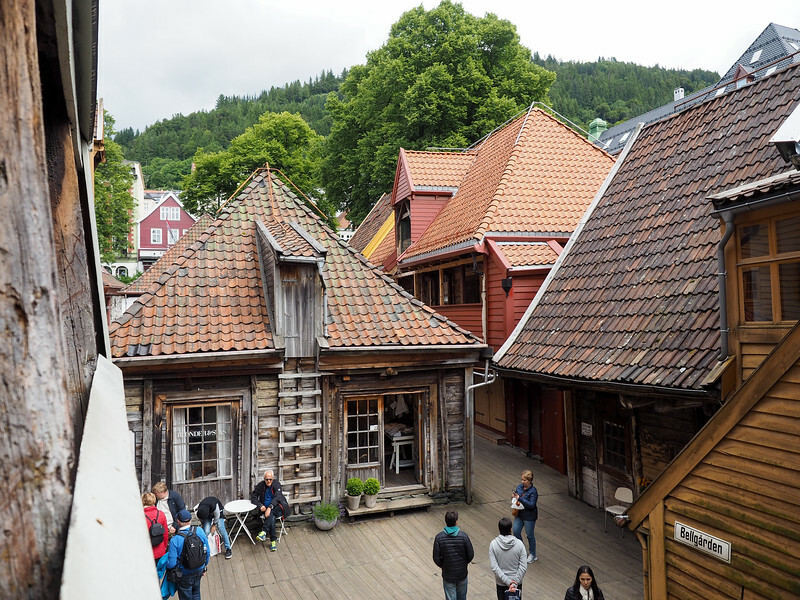 Old Bergen City Museum – This open-air museum just north of the city consists of more than 50 wooden houses from the 18th, 19th and 20th centuries, most of which came directly from Bergen's city center. 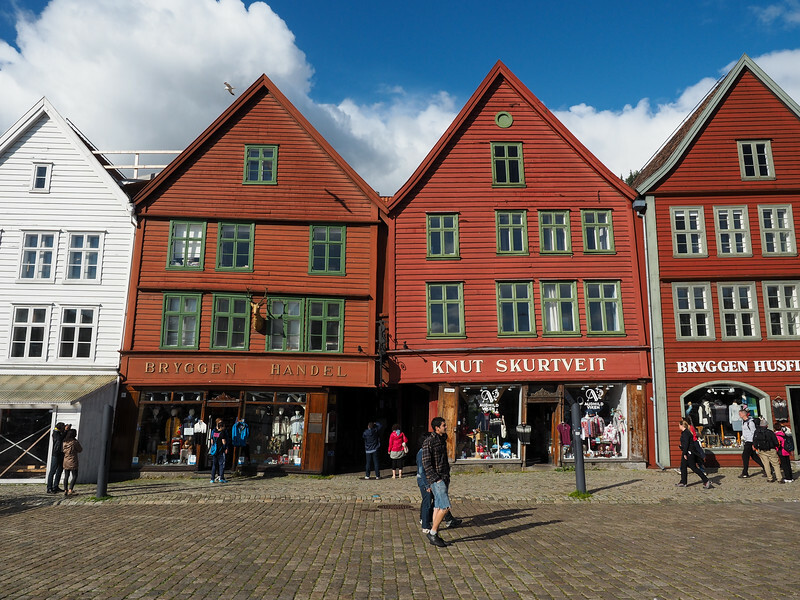 If you plan to do a lot of sightseeing in Bergen and potentially do one of the day trips listed below, then you'll want to look into buying a Bergen Card. 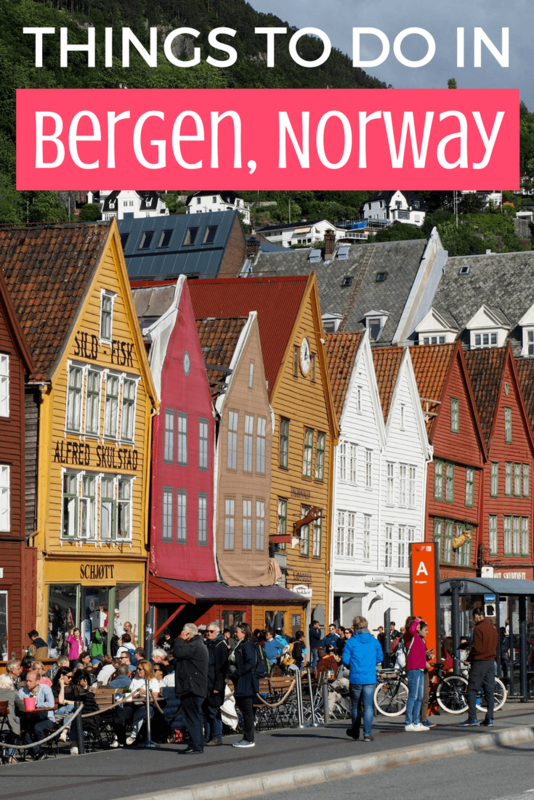 You can purchase a Bergen Card for 24, 48, or 72 hours, depending on how long you'll be in town. Get yours here. When it comes down to it, Bergen isn't really a huge city. You can see all the major highlights in Bergen in about 2 days without rushing. Stave churches are famous in Norway, and the Fantoft Stave Church is especially famous in Bergen. The original church was built in 1150 in Fortun, and was moved to Fantoft in 1883. But then it was sadly destroyed in a fire in 1992. The current church is a reconstruction, but a very good one that's still an excellent example of traditional Norwegian design. 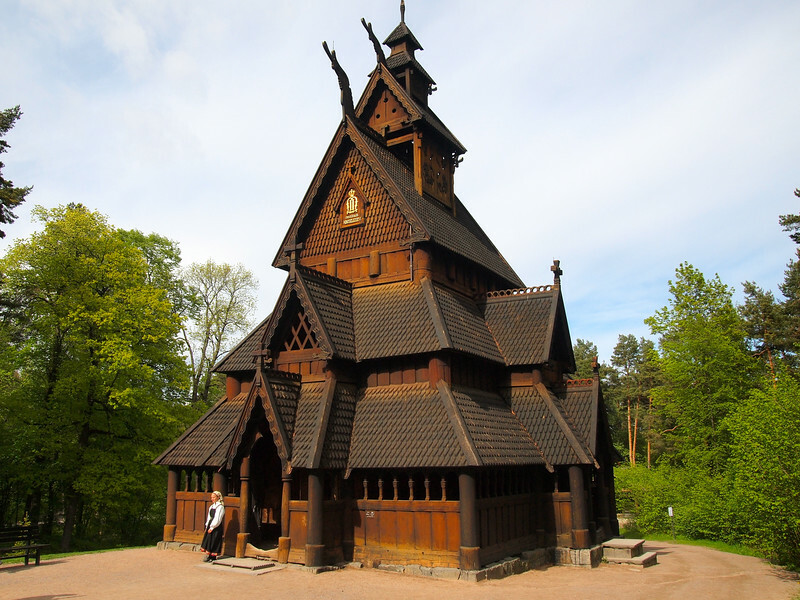 Note: This is NOT the Fantoft Stave Church, but gives you an idea of what one looks like! The church is located 6 kilometers from downtown Bergen. 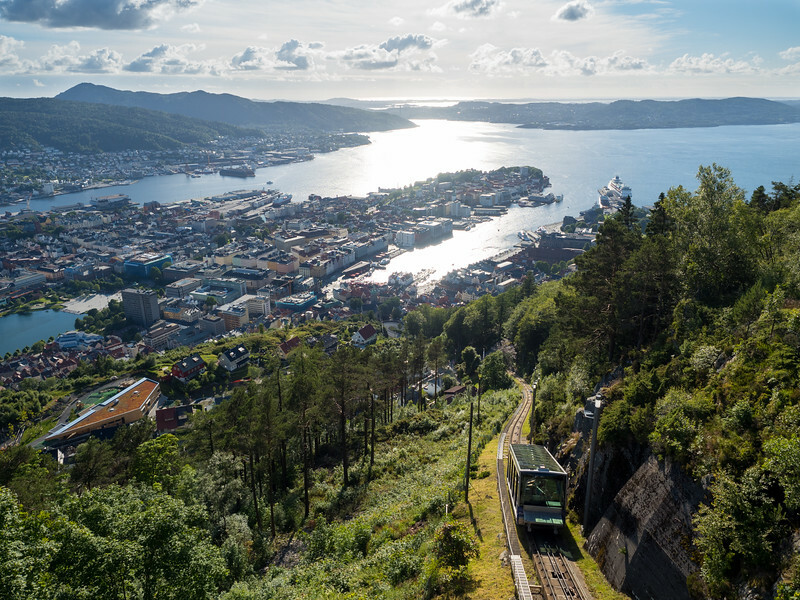 You can reach it by taking the Bergen Light Rail to Fantoft, or by taking bus number 2 from Småstrandgaten to Birkelundstoppen, and then walk down the hill. Officially part of the KODE museum complex, Troldhaugen was the summer home of Norway’s most famous composer, Edvard Grieg. Grieg and his wife spent more than 20 summers at this villa 8 kilometers outside of Bergen. Today, Troldhaugen serves as a museum. You can tour the villa and Grieg's Composer's Hut, see the composer's personal Steinway piano, and visit his gravesite. There are also frequent concerts (twice daily during the summer months) in a dedicated concert hall on the property, so be sure to inquire about performance times. There aren't any great public transport options to get to Troldhaugen, so it's recommended that you book a tour/transport from the city center. With Bergen being located on the water, you'd be missing out if you didn't get a glimpse of Norway's famous fjords. 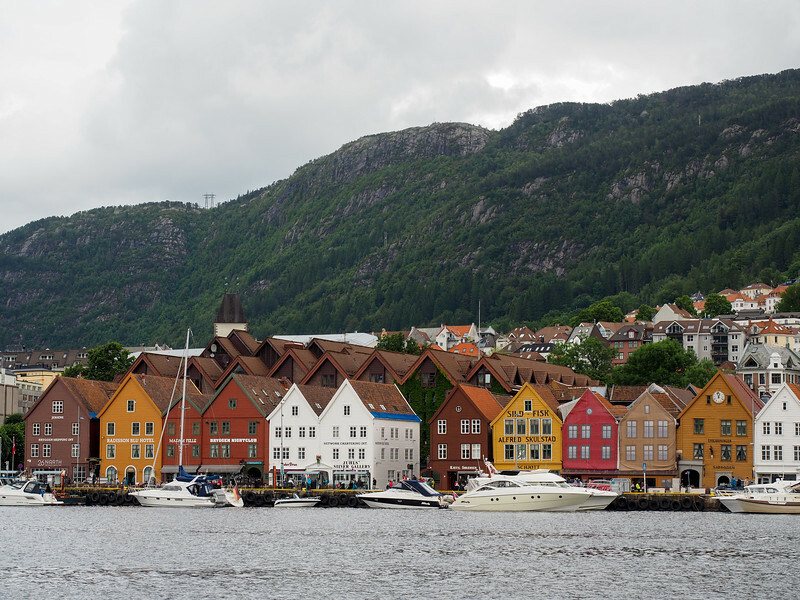 Bergen is close to the famous Sognefjorden, the longest fjord in Norway, and taking a fjord cruise is impressive no matter what the weather is like. If the number of fjord cruise options online is too overwhelming (there are so many! ), it's not a bad idea to head over to the Bergen Tourist Information center near the Fish Market, where someone can help you book exactly what you're looking for. Lastly, if you want a really epic adventure from Bergen that will include fjords, mountains, and trains, then you want to look into doing a Norway in a Nutshell tour. I did this self-guided tour from Oslo to Bergen, but you can do it roundtrip from Bergen in 1 or 2 days, too. 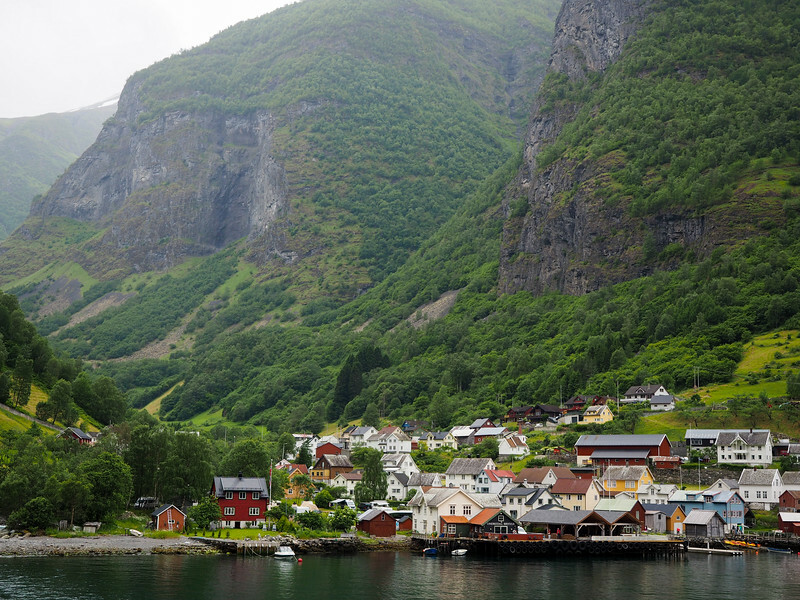 Highlights of Norway in a Nutshell include a fjord cruise and riding the famous Flåm Railway. 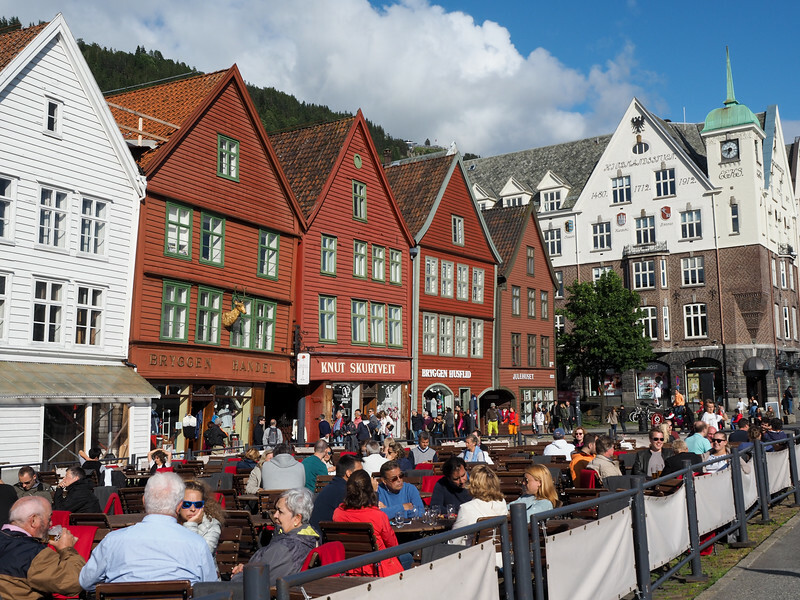 Did you know there were so many things to do in Bergen? Which of these would you want to do on your first trip? *Note: Thanks to Visit Norway and Visit Bergen for hosting me during my time in Bergen. As always, all opinions are my own. for those who are into world war II history, the fort and it’s nazi history is fascinating. there is also a museum there showcasing the nazi resistance. and just a few blocks away is the very hidden and equally interesting theta house museum…home of the nazi resistance in the area. i love bergen and want to return. wandering the fort was sort of bittersweet. seeing the theta house so close to the nazi headquarters made me snicker. it also gave me great pause. i wish to return and spend some time there. i absolutely fell in love with norway on a cruise, but think it would be wonderful to do a land tour. thanks for all your suggestions. That all sounds super interesting, especially since I love history! And yes, Norway is great for road tripping, or taking trains! I love how the colorful houses are almost leaning into each other and how some are off balance. What a picturesque town! It means they aren’t safe to live in any more, but they sure do make for great photos! Any opinions on best time of year to enjoy this Bergen? You can enjoy Bergen any time of year – it’s in southern Norway, so it doesn’t experience polar night like the northern parts of the country do. Locals will tell you that May is the “best” month to visit Bergen because it’s usually the month with the least amount of rain. September and October tend to be the wettest, but Bergen is a fairly rainy/cloudy place any time of year! Just wanted you to know you were my inspiration to 1. Venture out alone and 2. Go to Scotland (well, you and the show Outlander, lol!). I haven’t yet been to Norway, but I’m going to. I was just about to book for Norway, but my German husband convinced me to postpone it until later in June, as we’re going on our first set of holiday travel in March! Bergen looks like such a colourful little town, can’t wait! Bergen is great, as is the rest of Norway! June should be a very nice time to visit! Hopefully you’ll be able to go and visit sometime! It’s a very cool city.